Writing your resume is an always an intimidating process but it can be made significantly easier with the use of these resume writing software’s. These software options can ease the stress of resume writing by offering varied features, such as thesaurus, templates and more. Read on to find our detailed reviews for the top 5 resume writing softwares available for 2016, including pricing structures, features and user feedback. 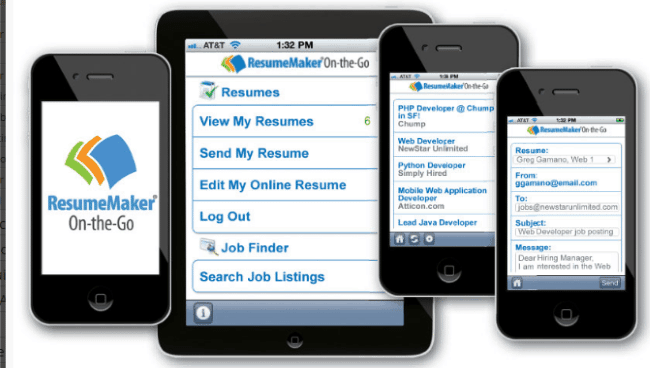 ResumeMaker Professional offers users a series of easy-to-use features, including a built in spellchecker and thesaurus. It also offers nifty formatting options, such as Resume Examiner and Shrink to Fit, which formats your resume to fit on one page. 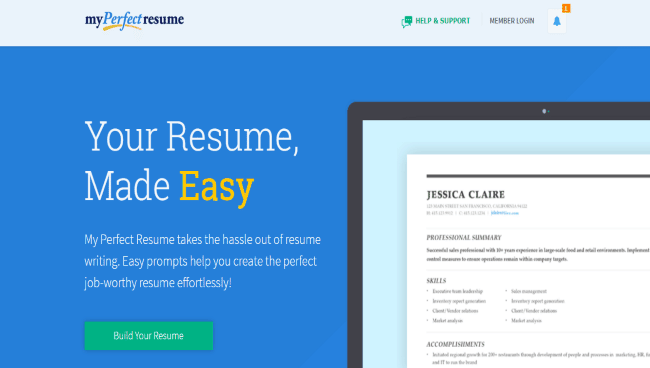 ResumeMaker offers 1,250 templates for users, so you will never suffer from a lack of options or worrying that a hiring manager has already seen your template. Set up is exceptionally simple and users can go from installation to creating a complete resume in under an hour. You can also save as many resumes as you want and save them as chronological or functional resumes. This affordable software is only $29.99 and offers online support and a 95% overall usability rating. 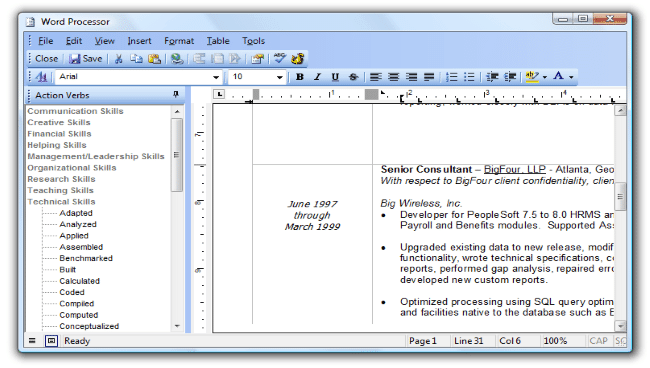 Resume Companion is another web-based application that is offered at a low price. The simple, easy to use interface is intuitive and does not drown you in information and it allows you to build a clean, professional looking resume in minutes. 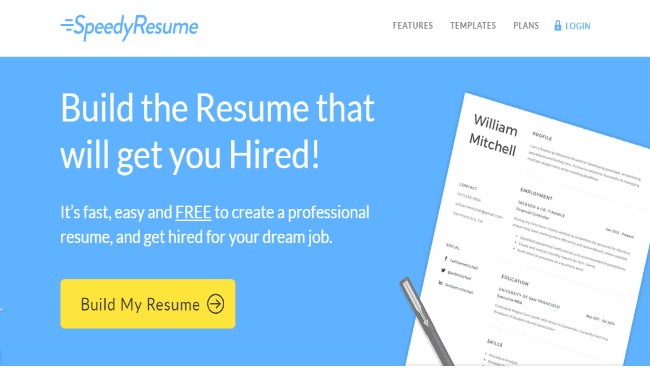 Using a nifty wizard, Resume Companion allows you to choose from 28 modern resume templates and then the wizard walks you through entering your information. You can then move sections around to suit your resume style. 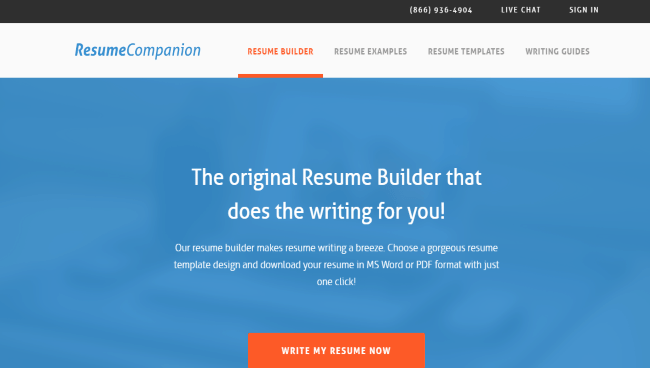 Offering attractive and well-designed templates and an incredibly easy to use interface, we found Resume Companion to be one of the most accessible builders we used. My Perfect Resume is LiveCareer’s resume building software. This effective web application allows users to do a salary search on your job, which can help you negotiate a competitive salary that matches your particular location. Beyond that, My Perfect Resume offers chronological or functional resumes or a combination of both styles and it allows you to import any existing resume and edit it, so you won’t have to reenter all your information. Since this a web-based service, you can access your documents anywhere and at any time. Overall, this is an excellent tool with a generous amount of features for the affordable price. The only downside is it does not have as many template options as some other software. Speedy Resume is a quick and streamlined web based application. This is a beautiful looking application with a sleek, modern style and it’s incredibly easy to navigate. You don’t have the option of importing an already created resume, but it does have a good wizard that walks you through inputting your information in a quick, seamless fashion. While most resume builders will allow you to download and save your resume in a variety of formats, Speedy Resume only supports PDF saves. However, it does host a live link to your resume that can be shared on a variety of social media sites, like LinkedIn. Speedy Resume does not offer any proofreading service though, and this can be hazardous when it comes to resumes. JobTabs offers a strong resume writing software that allows you to send polished looking resume out to prospective employers. Though the software looks a bit clunky and outdated, the program has extensive customization capabilities and it can import and export various file formats for use. Unlike many other resume builders, JobTabs only offers 5 templates, which can be too limiting for some users. But it does allow you to create matching cover letters to go with your resume and has a solid builder wizard to help you along when creating your resume.